Project Solaris is a Polish research venture started in 2010 by prof. Maciej Konacki from the Nicolaus Copernicus Astronomical Center of the Polish Academy of Sciences. The goals of the project include the search for circumbinary planets with a dedicated global network of robotic telescopes. The team members are Krzysztof Hełminiak, Tomasz Jurkiewicz, Stanisław Kozłowski, Michał Litwicki, Rafał Pawłaszek, Milena Ratajczak, Piotr Sybilski and collaborators Michał Drzał and Grzegorz Lech. The project was named after “Solaris” a novel by an outstanding Polish writer Stanislaw Lem (1921-2006).  The novel is about a circumbinary planet covered with a supposedly conscious ocean. 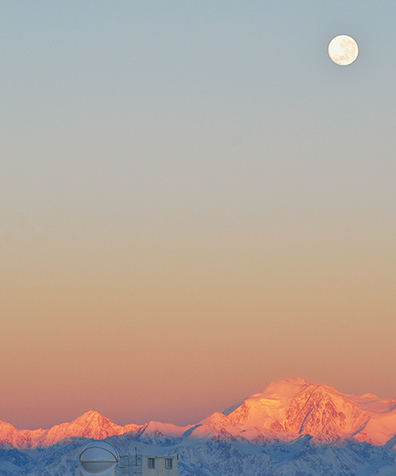 The ocean is studied by humans (with little success) from a station hovering above its surface. Since the novel was for the first time published in 1961, it precedes Star Wars’ Tatooine planet (1977) in terms of the first case of a circumbinary planet in pop culture. “Solaris” was turned into a movie twice: by a great Russian filmmaker Andrei Tarkovsky (1932-1986) and more recently by a Hollywood filmmaker Steven Soderbergh (starring George Clooney). 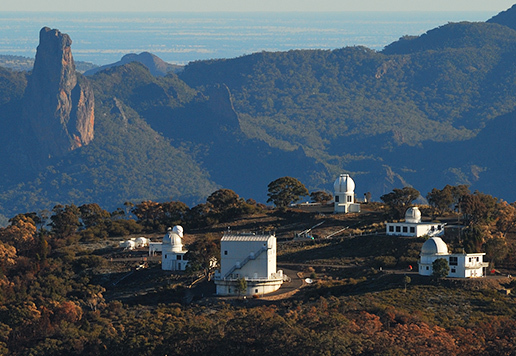 Project is carried out with the global network of four robotic telescopes placed at three locations: the South African Astronomical Observatory (SAAO, South Africa), the Siding Spring Observatory (SSO, Australia) and the Complejo Astronómico El Leoncito (CASLEO, Argentina). Its separation in longitude allows for a 24 hour night time sky coverage in favorable weather conditions. 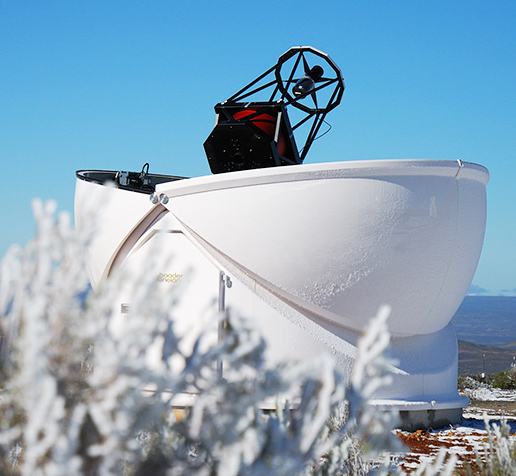 Each of the telescopes has a 0.5-m primary mirror and similar equipment. This includes a set of filters and a high-end camera. 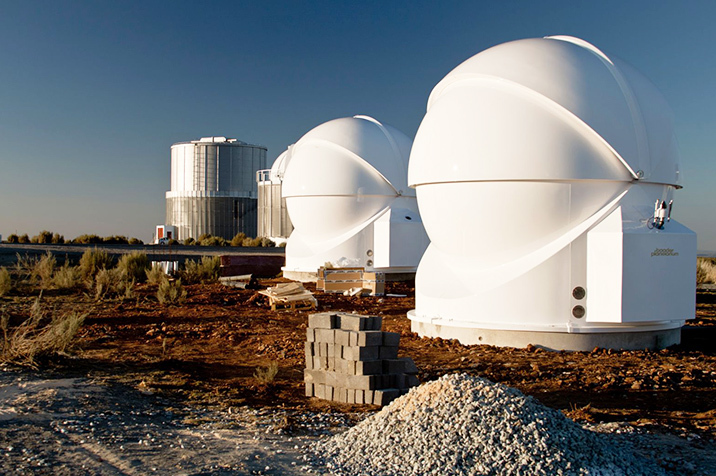 One of the telescopes at SAAO is also equipped with a BACHES spectrograph. The telescopes are housed in 3.5-m automated Baader Planetarium clamshell domes. The installation of the network stared in April 2011 and ended in December 2013. 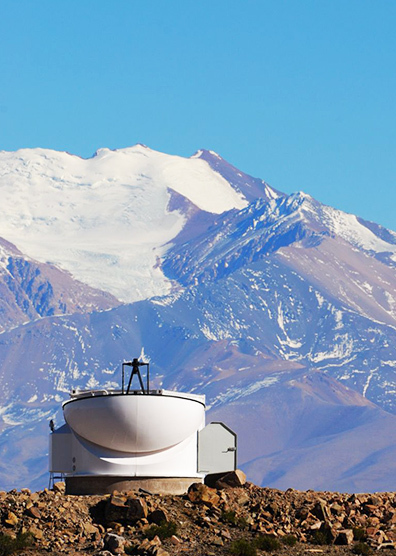 It took over 1100 person-days on site to carry out the installation of the telescopes and over 1200 person-days including the installation of the spectrograph in the Spring of 2014. One of the team members spent over 500 days at the three locations. The network has begun its operation in the Spring of 2014. In its current shape, the project will be carried out until the end of 2016. It is planned that it will be extended at least until the end of 2021. The project was financed from several sources. These include the European Research Council (ERC), the National Science Center, the Ministry of Science and Higher Education. The total budget of the project in the time frame 2010-2016 is about 2.5 million Euro. However, the beginnings of the project date back to December 2008 and the instrumentation FOCUS grant of 110 thousand Euro from the Foundation for Polish Science that allowed to buy the first telescope and camera. These funds have contributed to the successful application for the prestigious ERC Starting grant (edition 2010, 1.5 million Euro).